A Mansfield care worker was more than three times over the limit when she reversed into a car after meeting a police vehicle on a narrow street, a court heard. 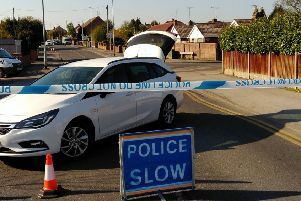 Tracey Siddall’s red Ford Fiesta was forced to back up after she left her home on Moor Street, at 6.30pm, on January 28. “When the officer got out and spoke to her, she said she was going to go work,” said Robert Carr, prosecuting. A test revealed she had 115 microgrammes of alcohol in 100 millilitres of breath, when the legal limit is 35 microgrammes. Siddall, 52, admitted drink driving when she appeared before magistrates on Mansfield, on Friday. The court heard she had a previous conviction for the same offence in 2007, when she received a 12 month community order and a 36 month ban. Miss Hughes, of Rothera Sharp solicitors, said Siddall’s partner had suffered a stroke, which led to a change in his personality, and she had been left with £15,000 of debts. Probation officer Cheryl Nisbet said Siddall drank two to three bottles of wine the night before and had a couple of glasses the next day. She had worked with alcohol services until Christmas 2016, Mrs Nisbet added. Siddall was given a 12 month community order, with ten rehabilitation activity days, and was fined £85, with an £85 government surcharge. She was banned from driving for 28 months, but was offered a drink drive rehab course, which will reduce the disqualification by seven months if completed by September 2019.